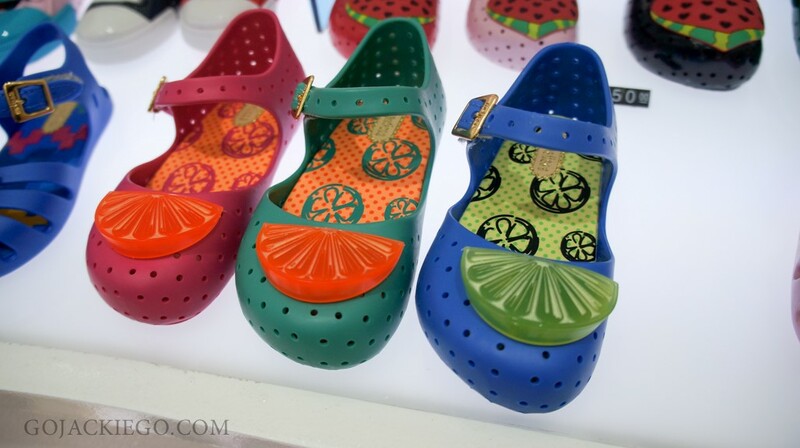 One of my favorite shoe brands, Melissa launched their kids collection and of course my shoe lover lil’ Ms. GJG was ecstatic to go. 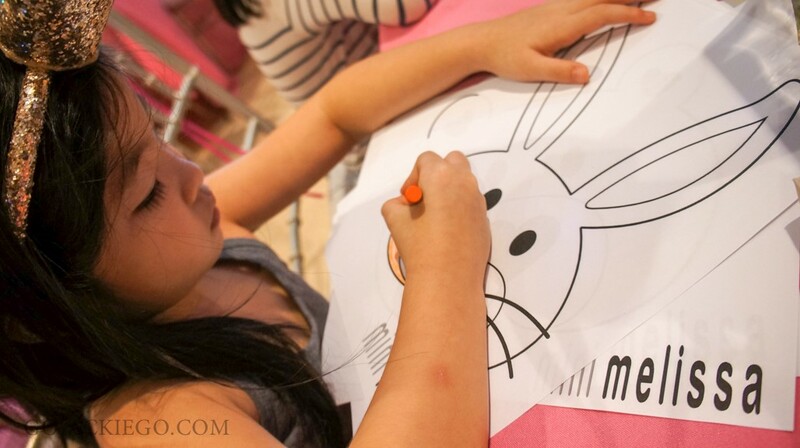 So right after school, we went to Geleai in Shangri La Mall to take part in Melissa’s Mini Me Halloween Party. 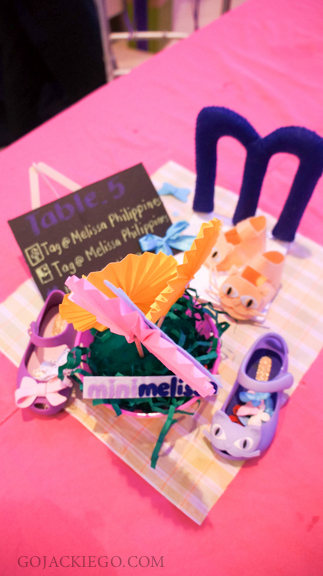 Spot the cutie mini Melissas as part of the table setting. 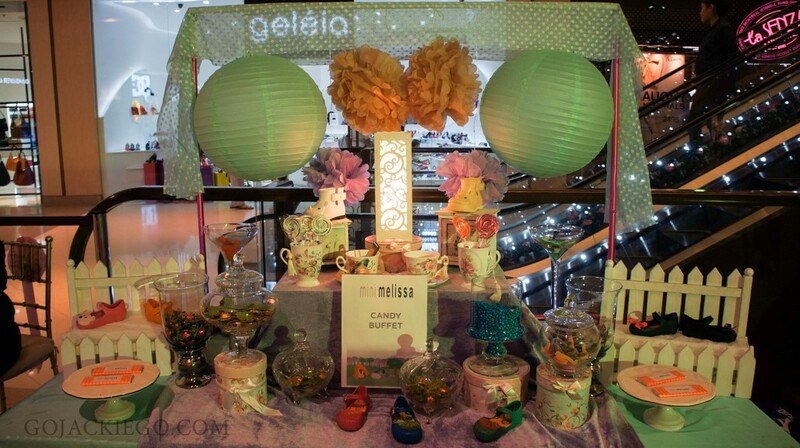 No party is complete without a candy buffet. 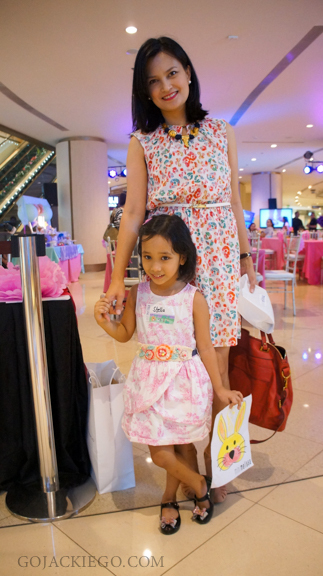 Melissa lover Daphne Oseña-Paez with her mini me Stella, who as seen in the photo, sure knows how to pose. 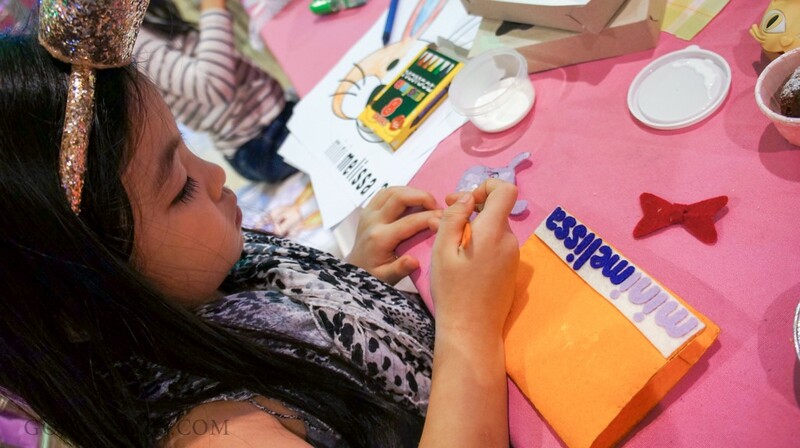 The fun activities Melissa had in store for our mini-me’s include arts and crafts. 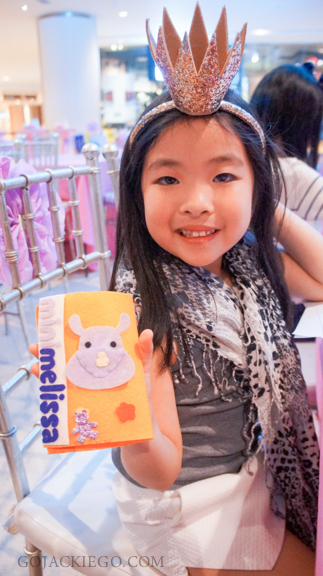 My mini-me enjoyed decorating her Mini Melissa passport holder. 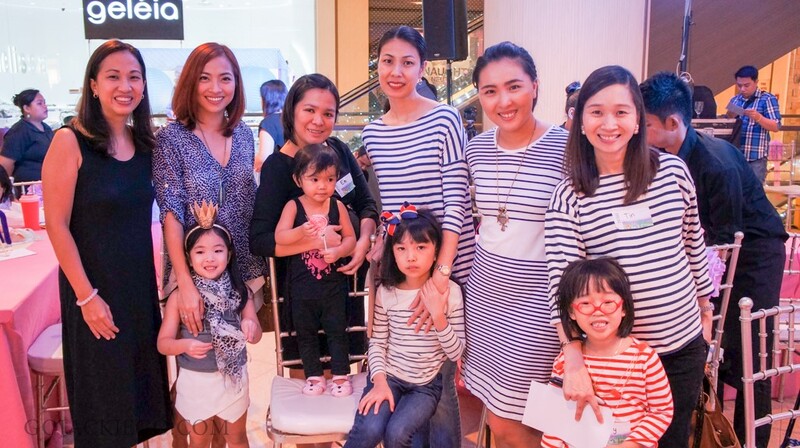 Fellow mommas with their mini-me’s Michelle Lim of My Mom Friday with M, Sarah Tirona of Fashion Eggplant with N, Vida Chua of Melissa and host Chal Lontoc- Del Rosario. Shen Cala-or of Shen’s Addiction with her adorable mini-me Claud. 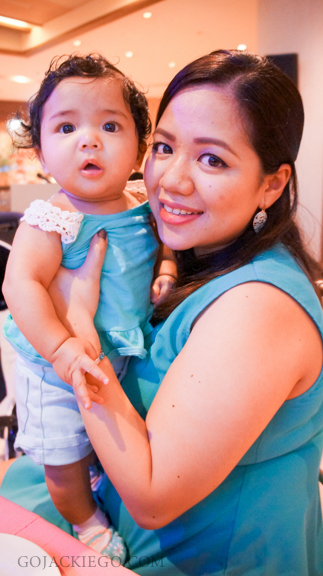 So nice to finally see and hold you bebe girl! 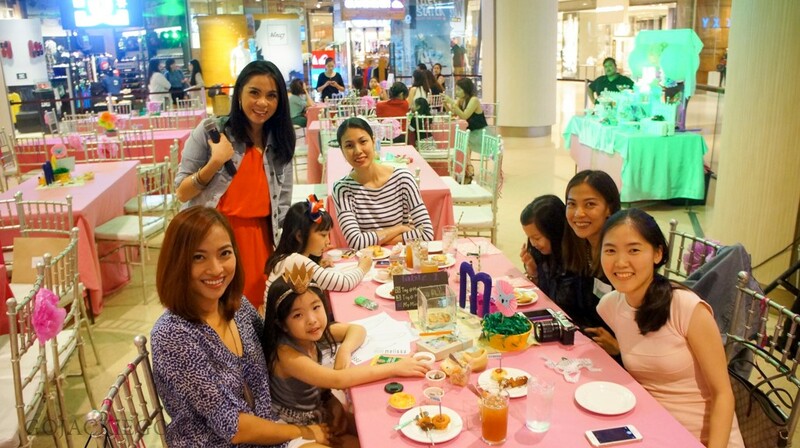 Janice Villanueva of Mommy Mundo, Em Sulit with her mini me Izzy, Michelle with Mika, Cai Sio of Apples and Dumplings and Tin Dychiao aka MFO with Berry. 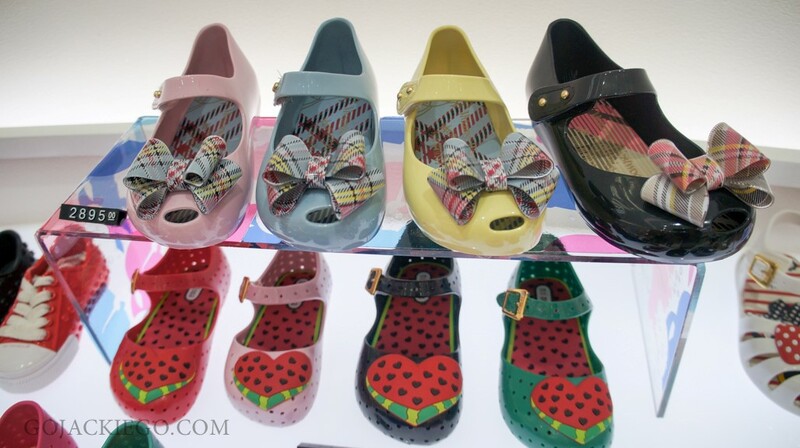 Soon after doing the activities, we went to Geleia to pick our Melissa pairs. I don’t really do matchy-matchy as I want lil’ Ms. GJG to have her own personality and style but I just had to get this asymmetric skort from Gingersnaps for her. Too kyooot di ba? 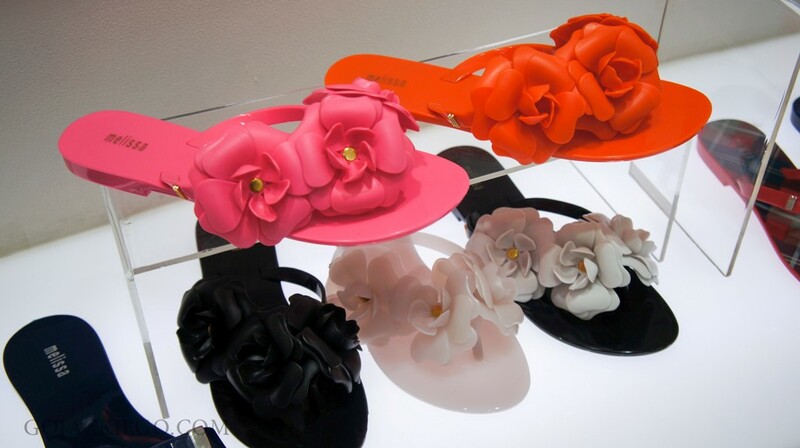 Lil’ Ms. GJG with the Mini Melissa collection. 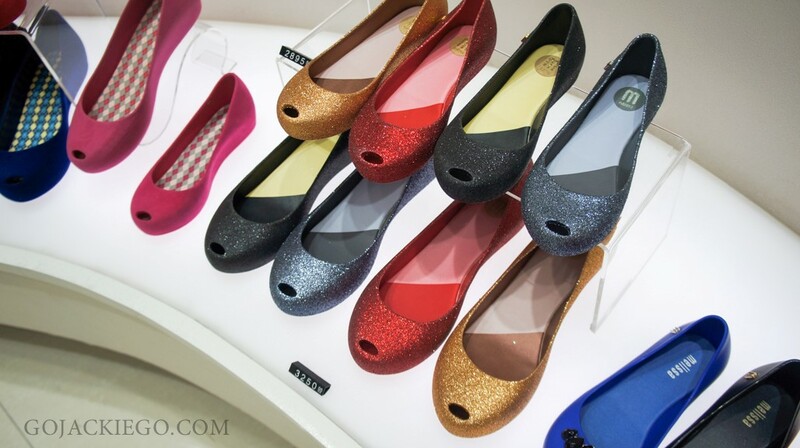 Mini Melissa also has a sneaker line that can also work for boys. I think lil’ Mr. GJG would look more gwapito wearing one of those lace up pairs. 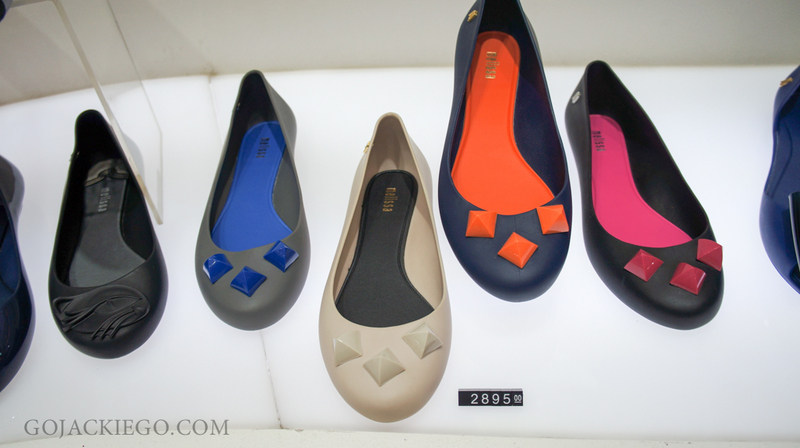 That blue and cream combination (leftmost) is too kyooooot! 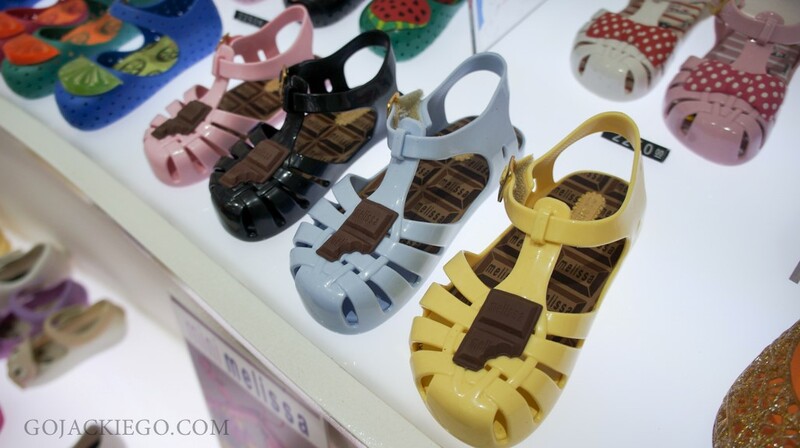 Chocolate on your shoe! Why not? Moo-moo here and foxy there. Trying to let my darling daughter decide for herself. 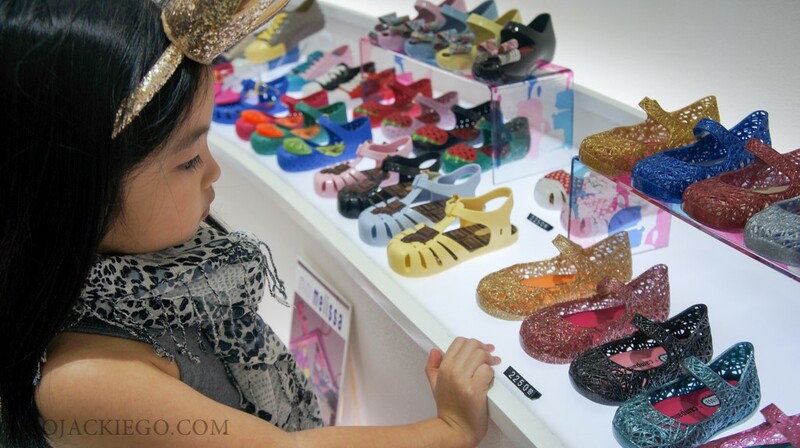 I have my chosen pair of shoes for her but I want to let her exercise her freedom to choose whatever she wants. Here she is so undecided on what to get. 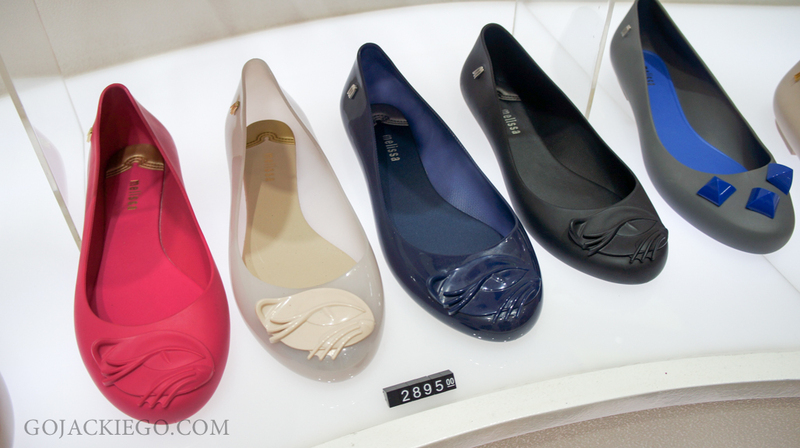 While I leave her to choose what she wants, I took tons of photos of the different Melissa shoes for us ladies. You’re welcome! 😉 Heehee. 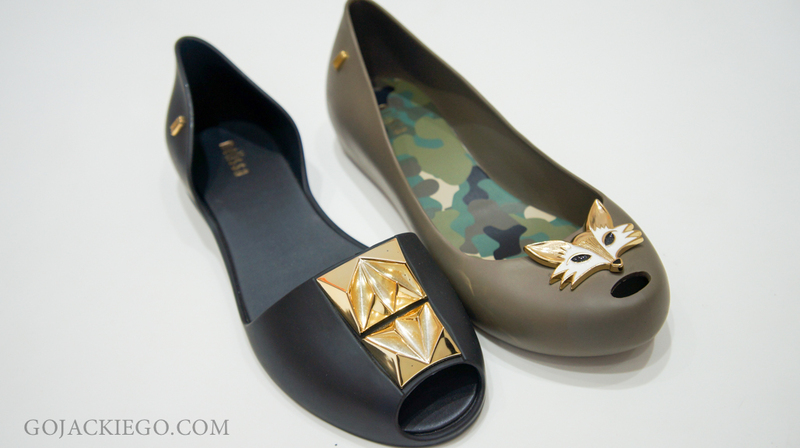 Melissa X Jason Wu. Love the yellow one! That bejewelled beetle was looking at me! 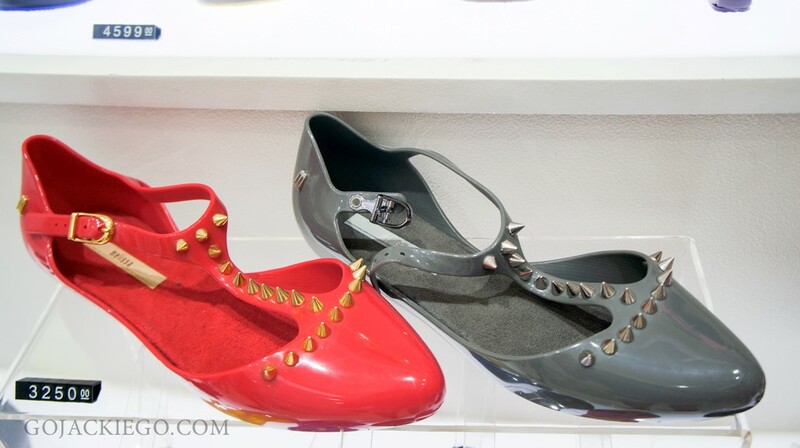 I super wanted these pairs but they don’t have it in my size na. 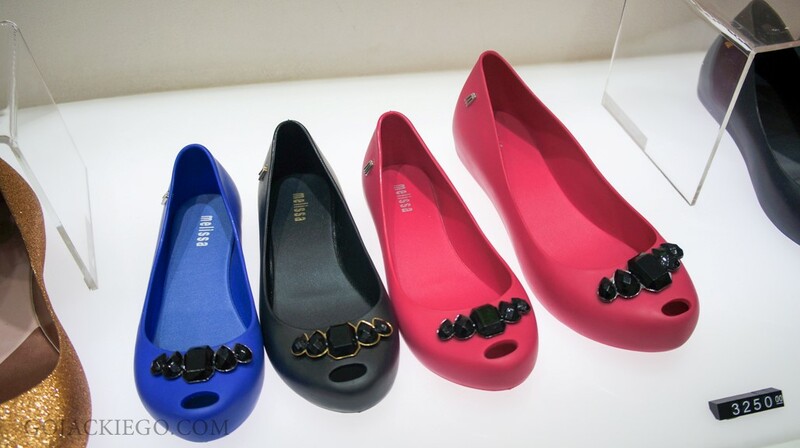 By far the most expensive Melissa shoes I know. Retails for P15,500. 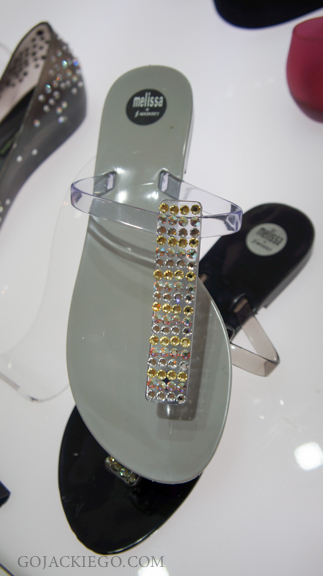 Swarovski crystals kasi! 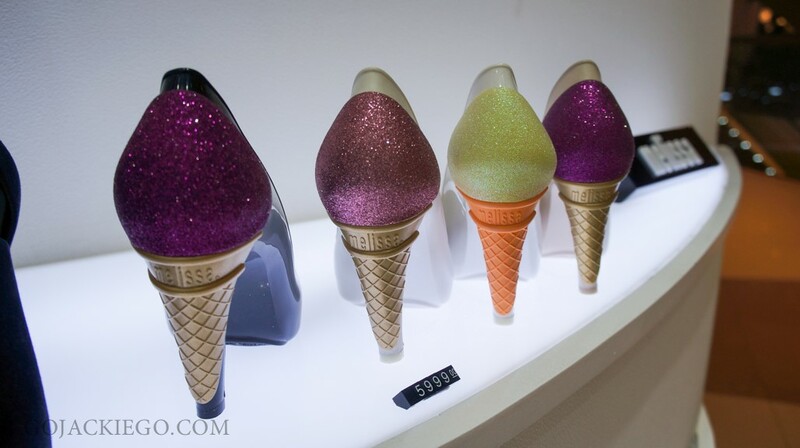 What appears like Cinderella’s glass slipper is a collaboration with designer J. Maskrey for Melissa. Somebody took home a pair and I will not name drop who this donya is aka MFO! Ahihihihihi. 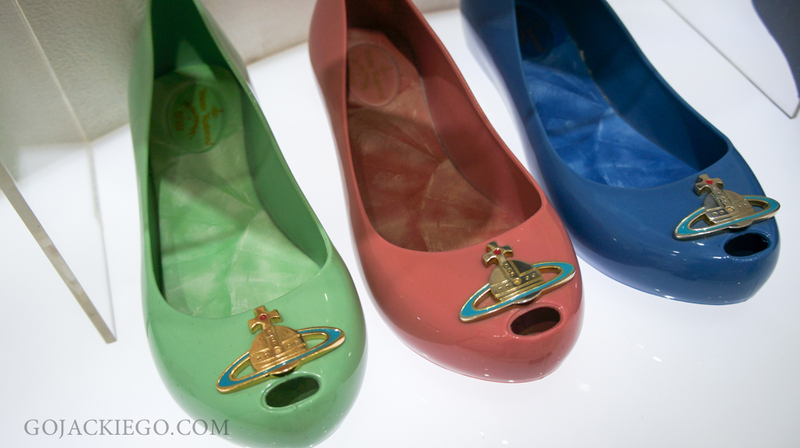 Aaaah I want this pair in bray (third one) but it doesn’t have my size. 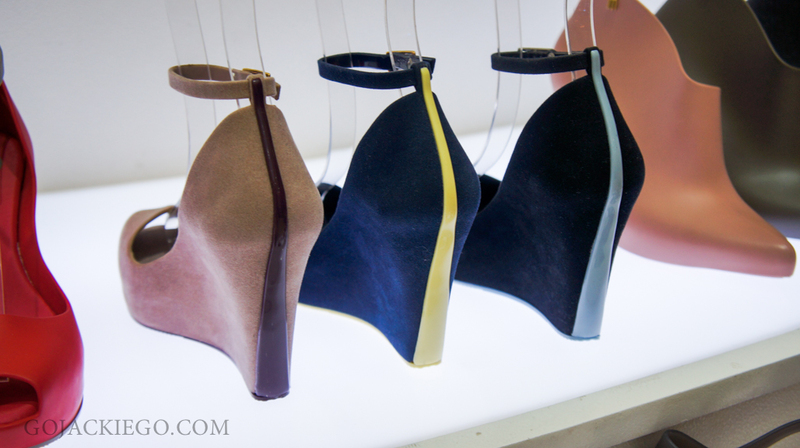 If you’re not a fan of heels, don’t be intimidated. 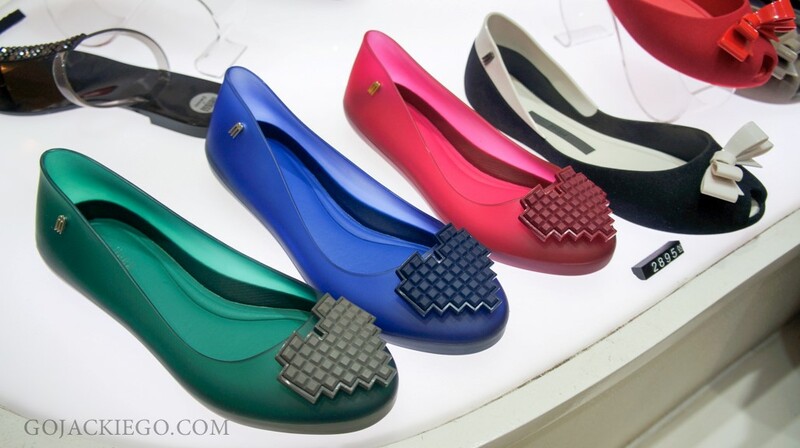 It’s super comfy as if you’re just wearing flats. 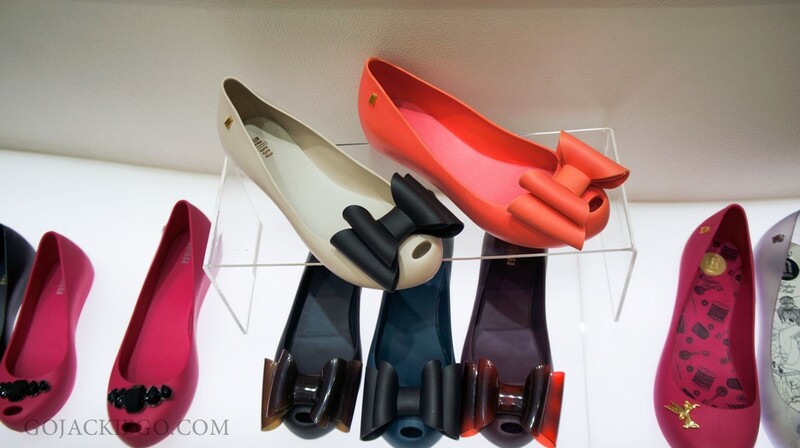 Melissa prides itself with their wedges. 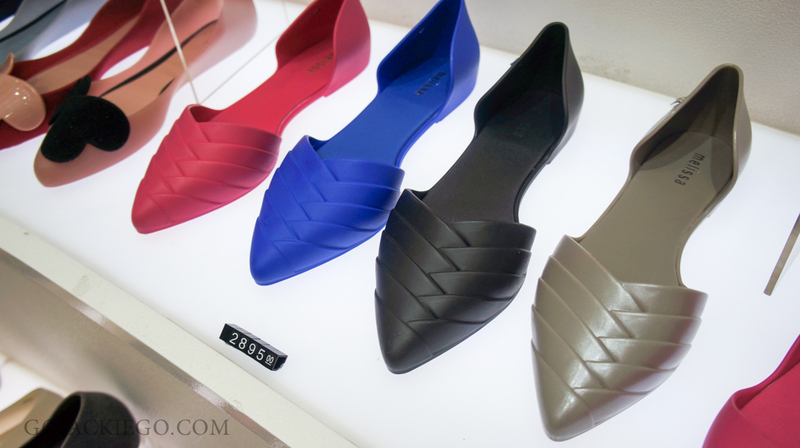 Lots of chic design that are again, surprisingly comfortable. Planning on going some place cold? 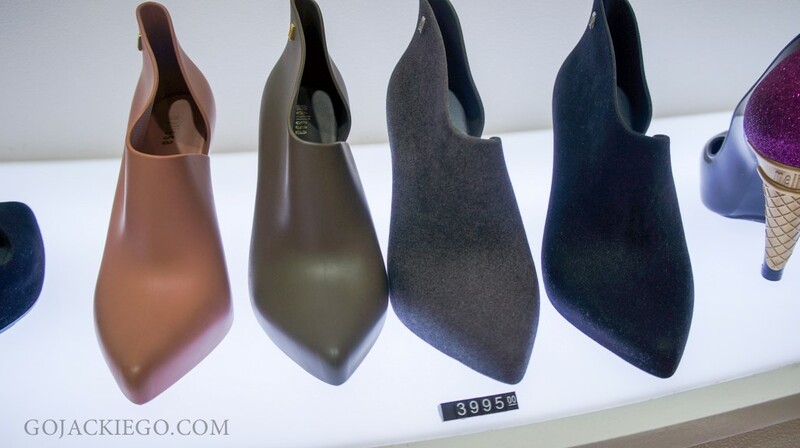 Get this Melissa boots. I recommend you get the taupe and gray pairs. After much deliberation, I was able to narrow down my choices to three. So in love with blue lately that everything I got were blue. 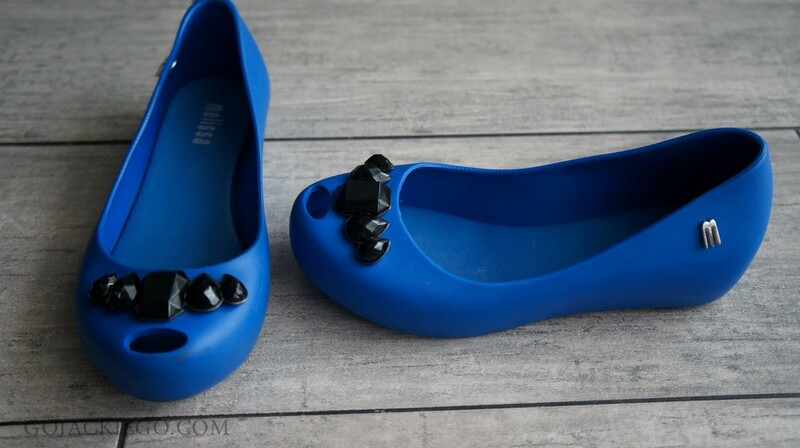 Meanwhile, I was surprised to see that lil’ Ms. GJG chose a blue pair as well. 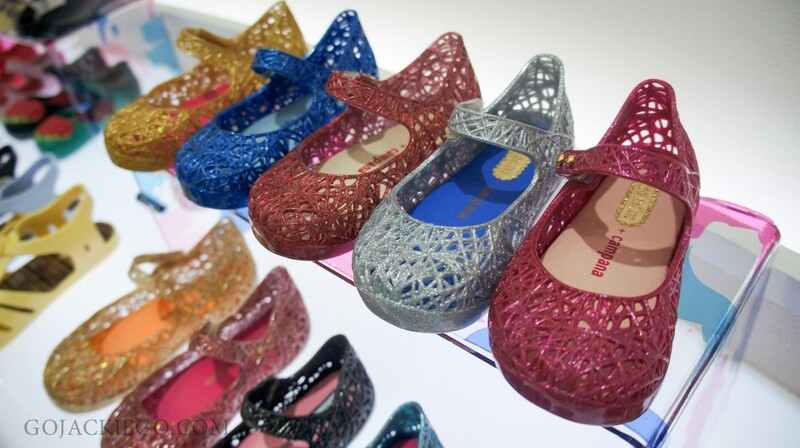 Mini Melissa shoes are up to size 10. 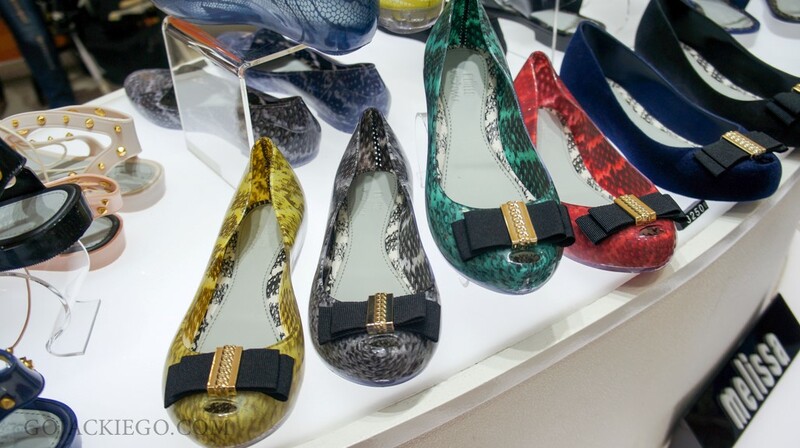 While Ms. GJG is size 10, she had to choose from the Melissa collection instead so she can use it longer. I couldn’t agree more on what she chose as it was pretty and fits her girly personality. My mini-me and I had loads of fun! 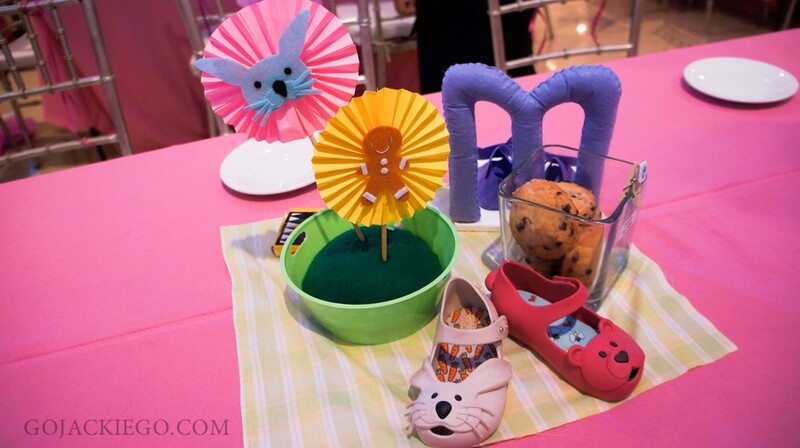 Thank you so much Joanna of Melissa Philippines for having us! 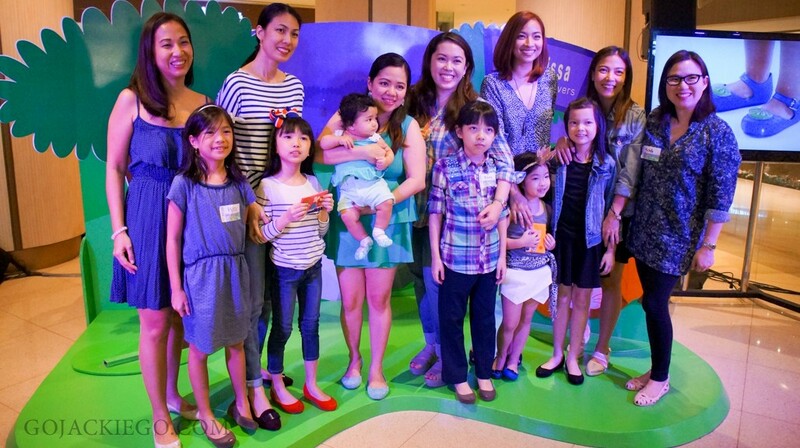 Janice & Reese, Michelle & Mika, Shen & Claud, Rowena & Keira, Sarah & Nikola, Michelle, yours truly and lil’ Ms. GJG. 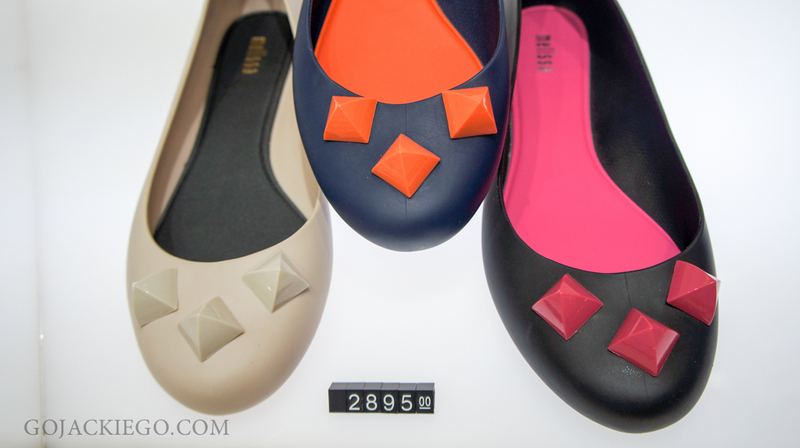 Here’s a closer look at our new Melissa pairs. Love that we both chose blue. 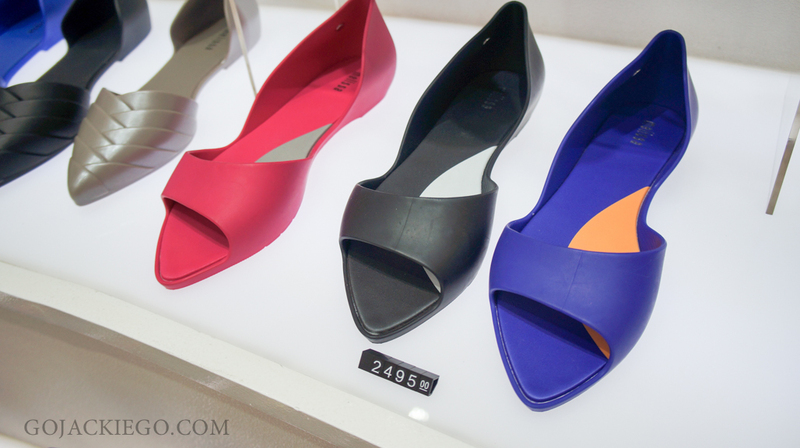 This Melissa wedge is my current favorite! It’s lightweight and so comfy! Makes me want to get the other colors tuloy.